An aspergillum is a vessel or device used for sprinkling holy water. The ordinary type is a metallic rod with a bulbous tip which absorbs the water and discharges it at the motion of the user’s hand. Who knew that there was a term for this specifically? This is the vestment the deacon wears over the alb on solemn occasions. We have so many fancy terms for each particular piece of clothing that deacons, priests, and bishops wear. 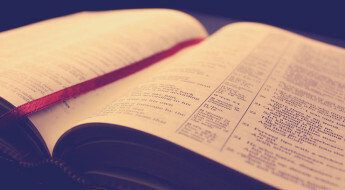 This is doctrine concerning the last things: death, judgment, Heaven and Hell, and the final state of perfection of the people and the kingdom of God at the end of the world. Matthew 25:31-46 and the Book of Revelation are some examples of eschatological passages. This is the process by which a man ordained is relieved of his obligations and is returned to the status of a lay person. This is the official teaching office of the Church. This office is made up of the Pope and Bishops. Along with Sacred Scripture and Tradition, the Magisterium helps guide the Church by laying down the authentic teachings of the Church. This term is used as an alternative form of reference to the pope. Pontifical has to do with the pope. The official collective name for the administrative agencies and courts, and their officials, who assist the Pope in governing the Church. Members are appointed and granted authority by the Pope. A synod is a gathering of designated officials and representatives of a church, with legislative and policy-making powers. Synods have involved themes around the family, sacraments, the role of bishops, and many others. An institution which provides the last four years of study for candidates for priesthood. Seminaries offer the theologate years that seminarians need before being ordained priests. 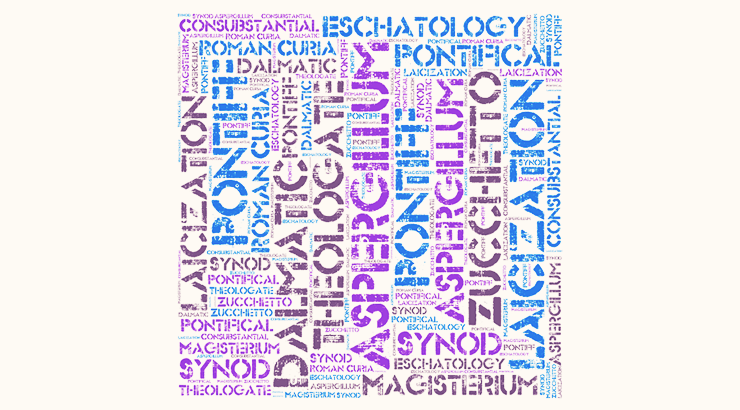 Now, the real challenge is not only knowing these Catholic words, but pronouncing them. Aspergillum? Laicization? Good luck with those!